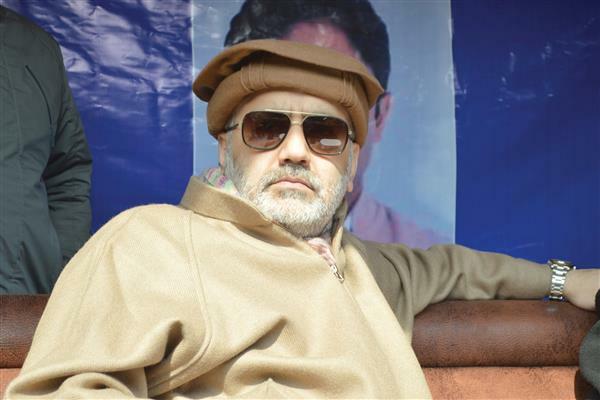 Governor Satya Pal Malik is carrying out a plan to cobble up a political alliance for BJP in Kashmir. 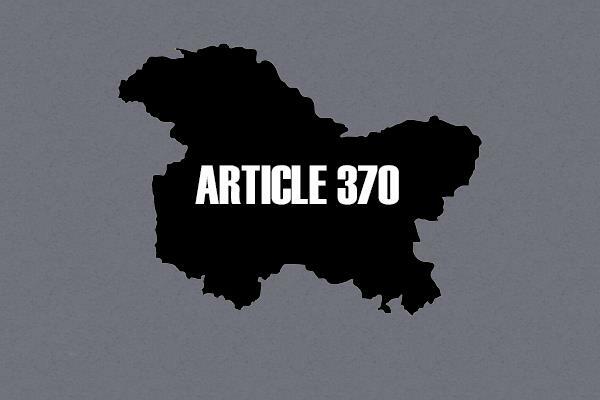 The change in allotment of portfolios’ shows his intents of tinkering with the key institutions to place the control of the government in the hands of the BJP’s new cohorts in Kashmir. Thought the ideas Governor Satya Pal Malik tends to put in place for fulfilling the BJP’s political ambitions can’t be changed into a reality but his actions show his ambitions of cobbling together a new political combination as an alternative to National Conference and PDP in Kashmir. Though the government has started projecting K K Sharma the newly appointed advisor to Governor as a smart specialist of flagship programs after gifting him the plum portfolios of finance and power but more successful specialist than him in the execution of flagship programs in Jammu & Kashmir is governor’s another advisor B B Vyas from whom the Governor has taken away key portfolios’ of Finance and Power Development departments known for their centrality in execution of flagship programs. 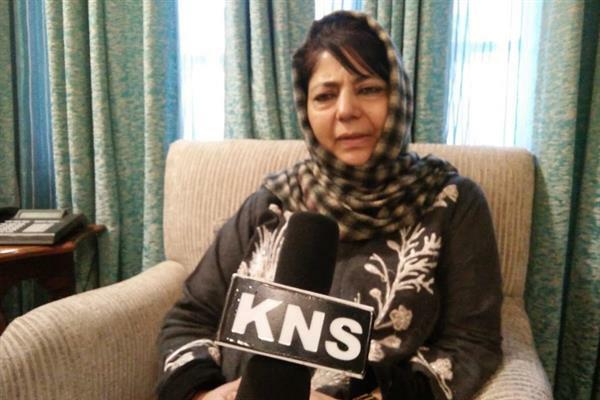 In fact the governor has not divested Vyas of the finance portfolio and offered it to Sharma to facilitate his task of executing flagship programs in the state but to carry out an exercise for ousting the incumbent Jammu & Kashmir bank Chairman. Vyas might not have agreed to be part of a plan being conceived to unseat the incumbent Jammu & Kashmir Bank Chairman for political motives. 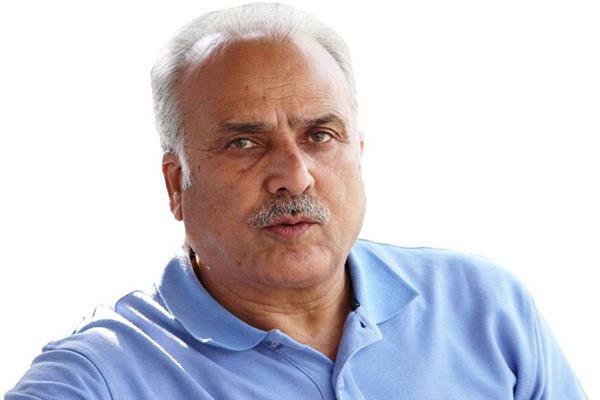 The attempt of the Governor Satya Pal Malik to drag the incumbent Jammu & Kashmir Bank Chairman into a recruitment scam was to replace him by a non Kashmiri Chief Executive but Governor was forced to retract from his own statement by the clarifications of J&K Bank Chairman Parvez Ahmad. While the fact was that after the release of main list for the posts of Representational Executives (REs) the bank had the capacity to appoint more 582 Representational Executives (REs) on the vacancies created by the creation of new branches and expansion of existing branches but Governor unwisely tried to make out a case of recruitment scam just to replace the incumbent J&K Bank Chairman for political motives. 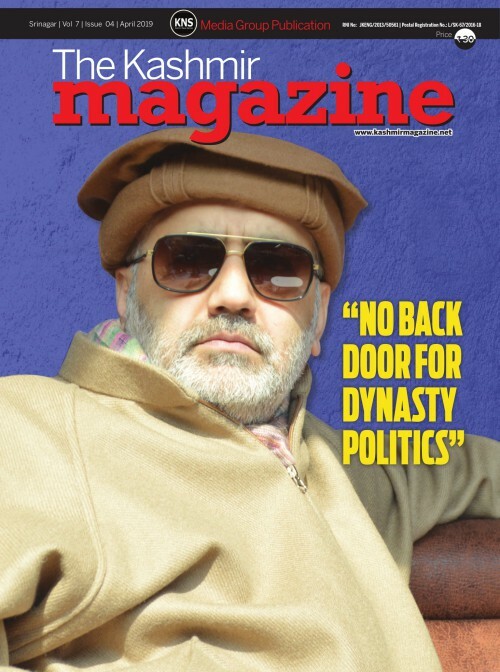 Now the Finance portfolio is in hands of Sharma a man who has been brought just to neutralise the role of B B Vyas and Khursheed Ahmad Ganai the only two advisors known for their connections in the state administration and better understanding of the core public sentiments of the people of Jammu & Kashmir. Sharma being a man not knowing much about the working of key public institutions like Jammu & Kashmir won’t be a hard net to crack for the Governor like Vyas and Ganai in handling the issues concerning recruitments and Non Performing Accounts (NPAs) in Jammu & Kashmir Bank and probe into the allotment of contract to an intermediary of the Reliance Life Insurance Company. Interestingly days after the allegations of a recruitment scam by Governor were put to rest with his own retraction statement and clear clarification from J&K Bank Chairman the Jammu & Kashmir Bank issued a loan recovery notice to Sheikh Imran the incumbent Deputy Mayor Srinagar Municipal Corporation (SMC) after he filed nomination papers for municipal elections but loan recovery notices were not issued to other defaulters by the Jammu & Kashmir Bank. Against after his elections as Deputy the Jammu & Kashmir Bank slapped another recovery notice on Sheikh Imran and no such loan recovery notices has been issued to any other defaulter. Under the garb of war against corruption the governor is intervening in the working of institutions for political motives as otherwise dozens of legislators and babus both retired and serving are defaulters of sales tax department of Jammu & Kashmir government and are figuring in the list of income tax defaulters also. Evidently the governor does not touch such tax evades in an attempt to bring some of them to the side of BJP for cobbling together a new political combination which could throw up a challenge to two largest mainstream political parties National Conference and Peoples’ Democratic Party (PDP) in the forthcoming parliament elections and next assembly polls in the state. Amendment in the Jammu & Kashmir Municipal Act for election of Mayors of Srinagar and Jammu Municipal Corporations through secret ballot days before the election of Mayor Srinagar Municipal Corporation had already hinted the possibility of horse trading in the election of Mayor Srinagar Municipal Corporation (SMC). The election of BJP backed candidate about which Governor had already dropped hints is establishing the allegations of unwanted intervention of the governor’s administration even in the election of heads of the municipal bodies of the state. Election of Mayor from BJP backed political combination and Deputy Mayor from non BJP political combination showed the involvement of money power in the recent battle for power in Srinagar Municipal Corporation (SMC). Lately a move by the government to fill the two seats of legislative council by the members of municipal councils and municipal committees of major towns and two municipal corporations of Srinagar and Jammu in the absence of a popular government is yet another indication of the governor working on a well conceived plan of cobbling together an alternative political combination to both National Conference and Peoples’ Democratic Party (PDP). Coercion can’t become a tool for an unacceptable change on the political landscape of Jammu & Kashmir and corruption is as good Kashmir is as good a reality in Kashmir it is in rest of India. Political sentiment of the people but not the corruption is the trigger of the ongoing public unrest in Kashmir. 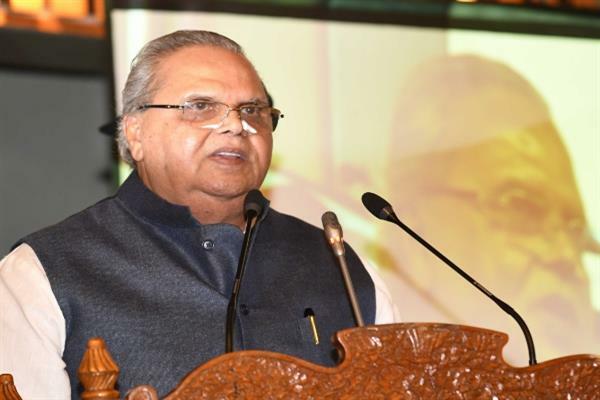 When many anti-graft bodies are working well in Jammu & Kashmir the governor Satya Pal Malik has put in place another anti-graft body named “ anti-corruption bureau (ACB)”. Putting in place parallel anti-graft bodies without granting them institutional freedom won’t change the course of crusade against corruption. Governor tries to create an impression that people in Kashmir are deadly corruption but people are in rest of India are deadly honest. Governor challenging the role of Pakistan and talking about dialogue without Pakistan shows that he at the instance of Modi government at the centre is trying to conceive the Raji-Longwal accord type of agreement on Kashmir with elected counselors, corporators and panchayat members under the banner of new political combination under the leadership of Peoples’ Conference Chairman Sajad Ghani Lone but major political players and strategists in India know that Punjab experiment can’t resolve the seventy year long Kashmir issue through election coercing and curbs on dissent. Hurriyat won’t talk without Pakistan and Pakistan won’t talk till the Modi government gives legitimacy to the Hurriyat is a reality and Governor’s sermon to Hurriyat for talks without Pakistan won’t find any takers in Kashmir. Governor Satya Pal Malik tends to script a story satisfying the whims and wishes of BJP and RSS but he would only script a comedy at the end of the day in Jammu & Kashmir.